Also Application Maintenance, Enhancement, Migration and Testing Service. Application Development Lahore Pakistan consists on experience team of designer and developers, which works on phase and complete the milestone efficiently. Our in house team works in friendly environment that’s why our valued customer also get response. With the passage of time we don’t leave our customers in any trouble, In fact we feel happy to guide and take the burden off in resolving such bugs or error. Technology never remain same and it change with the time. Also new versions requires with new modification as per on demand, therefor we keep researching on new terminologies and implement accordingly. Our helpful support allows audience to get user friendly feedback. 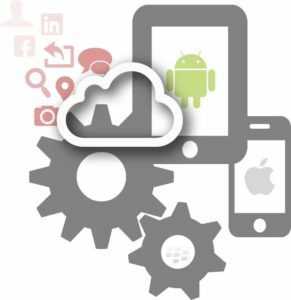 Hire Us for Application Development in Iphone, Ipad (IOS), Android, Web App, Facebook App, Desktop App. We have a dedicated team of professional app designers and developers and we thrive on the idea that design makes a difference with very lowest prices. We Application Development Lahore Pakistan act as a group of experts under one roof execute and deliver the projects with utmost quality and quick turn round for sure.